You’ve been accepted at a school in Talence, and you only have one thing in mind, start as soon as possible your new life in the Gironde? 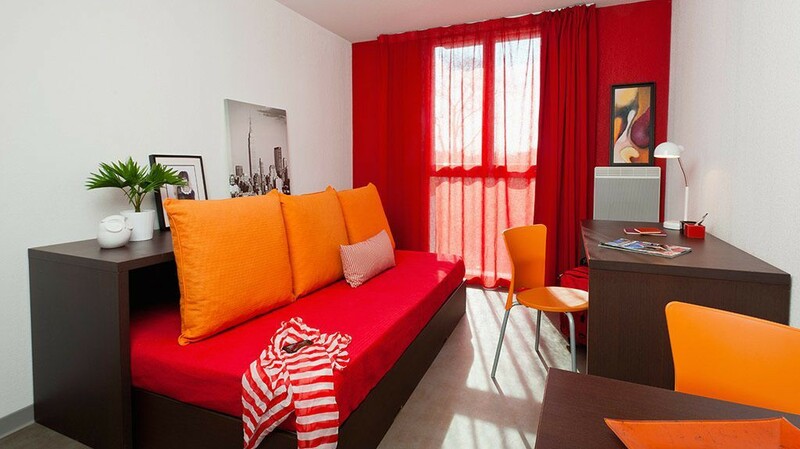 Study’O offers student residences in Talence, very close to the universities. Our student residence in Talence Study’O Talence-University is located within the University campus, only 5 minutes from the city centre of Talence by foot and with public transport just in front of the door. It welcomes you with 144 apartments, from 19 m² studios to 45 m² one bedroom apartments. You will find many schools near the student residence in Talence, such as the ENSEIRB, the UFR Sciences of the Earth and the Sea Bordeaux I (STM), the UFR of Biological Sciences Bordeaux I, the National Graduate School of Chemistry and Physics of Bordeaux (ISTAB), the National Graduate School of Arts and Crafts (ENSAM). In our student residence in Talence all apartments offer a kitchenette, one double bed (140 * 190cm), a bathroom with bathtub and toilet, a desk area, and a broadband Internet connection. Alternatively, you can choose from our other student residences in Talence: Study’O Talence Gambetta or Study’O Talence Medoquine. Don’t wait any longer and complete now your on-line file to get your apartment key of our student residences in Talence as fast as possible.